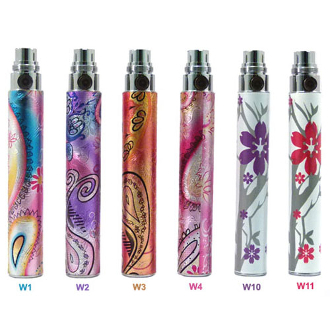 Flowers Design eGo Manual Rechargeable Lithium Battery. The eGo uses a 650mAh/1100mAh manual battery. This gives a heavy user at least 6-7 hours of vaping. The Joye eGo Batteries are compatible with all Joye 510 Atomizers, eGo Cartomizers, eGo Tank Sytem and eGo Clearomizer. Please select your ego battery Style from the drop down menu.